She headed straight for the dinosaur-infested sand pit, holding her PA’s hand and smiling from ear to ear, not stopping once to admire her low-level coat peg, complete with laminated fairy picture and nickname ‘Natty’ in easy read font. Neither did she turn around to see my face crumple into tears as I signed “proud” in Makaton. 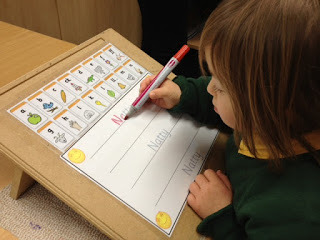 Natty took the enormous milestone of starting in Reception class in her stride, unaware of the mix of emotions we were feeling. She was head and shoulders smaller than her peers, but in many ways more confident and determined. Our hearts were filled with pride. Pride that every parent feels, seeing their little one wearing a uniform for the first time. But also pride that our little girl had got this far, as starting mainstream school was certainly not something we ever took for granted. There had been many moments throughout her life when we weren’t sure she would survive to school age at all. Then of course there was the hair-greying worry that kept me awake. 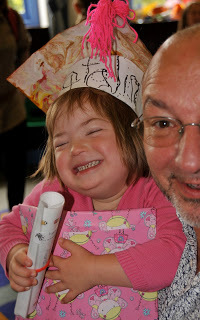 Was mainstream school the right place for our daughter, who has Down’s syndrome? Would she escape? Would other children bully her? Would she pick up a serious infection? This, merged with a tiredness that came from hours spent meeting professionals to work on the Statement of Education Need reports and a long, detailed transition process that began early the term before. Natty’s professional team and pre-school workers had been working away under the surface with us to help her glide, swan-like, into education. So what would our tips for a positive school start be? Carefully consider the right type of school to suit your child’s needs. Mainstream or special school, flexi-schooling or home education can all work well. Develop strong relationships with your child’s professional teams. Work together with the SENCO, educational psychologists, physiotherapists and teaching staff to communicate your child’s needs. Don’t be afraid to voice any concerns early on. Work out an Intimate Care plan if your child has toileting issues and have this in place before term starts. Buy plenty of spare uniform. Invest time in the Transition process. Make a photo book of the school and teachers to show your child. Role play, dressing up in the new uniform, and make sure your child visits their new classroom several times ahead of term. Ease your child into school with a part-time timetable if necessary, gradually building up their hours as they gain stamina. Enjoy your child’s early years. It is often easy to work overtime on therapies and extra school tasks, feeling that you are under the microscope as an SEN parent. Take time out to have fun together. They are not a project. As Natty enters Year 4 I see just how far we have come. She loves every minute of her school days, is popular, and proves that inclusion truly is a two-way street, for her classmates have learnt as much from her as she has benefitted from being around them. She is confident, happy and growingly independent in her little school and I no longer worry about the tiniest of things. But crucially, we take one year at a time and when Natty’s needs change, we will look at a different solution. We will take her lead. Hayley. 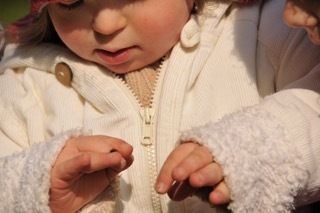 Thank you for this lovely blog and pictures of Natty. The top tips will be really helpful for professionals supporting parents to help children who need extra help get ready for school.